The pockets for the cards and money : change/notes are very tight but may be they'll give in time. But I love the product and am happy with it. This product came as described the phone fits snugly into the holder. The magnetic detachment works well for me being an Electrician I always use my camera when testing electrics so its very handy and the case protects it nicely. You will need big pockets though if you don't like carrying it. The service is excellent and the product seems at first a good idea. I found it a little bulky for a jacket pocket and have discontinued it's use.. However, I'm sure it would fit fine elsewhere such as a woman's handbag. Although it's such a nice material- it was way too thick. The wallet part with the zip was very big and wasn't completely covered so if you were to put change, it could fall out. I kept it for a couple of days just to see if it would feel different but it was still way too big to just carry around. So unfortunate. 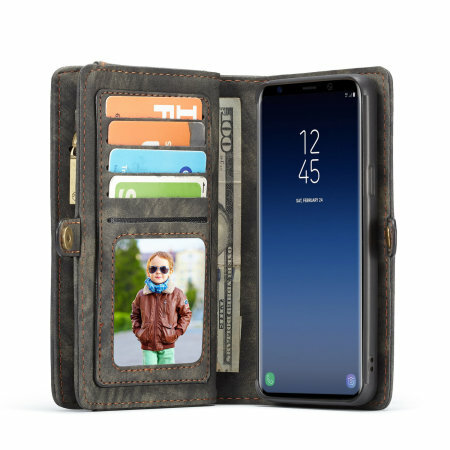 Would be great if the wallet part was detachable maybe or if there was an option without the wallet as I would have bought this. Came really well packaged too such a shame. First time international purchase. From time of purchase I was kept updated till delivery. TOOK 24 HRS till delivered. Can't get over how professional and efficient Mobilefun is. The Oscar is yours. Be proud of your company. Many thanks. Highly satisfied customer.